We at Encore provide quality dance instruction emphasizing positive self esteem, poise and self confidence. The Encore staff is always training to ensure we provide our students and parents the best experience possible. The well trained staff adapts each class to the skill levels of the students. Their combined eighty plus years of teaching for Encore is a testament of the positive, family atmosphere rich in experience. Each dance year ends with an impressive recital. Encore The Dance Centre is well known for an extremely organized and entertaining recital. We also share our love of dance with local communities by performing at festivals and fairs in the summer and nursing homes in the winter. We have performed at Walt Disney World, a Detroit Shock game, and the Detroit Zoo. 1. Our # 1 priority - To have every student learn dance in a fun and positive atmosphere while building self esteem. 2. Professional staff - The staff is highly experienced in all levels of dance and will make sure your child learns a solid dance foundation while having a fantastic time in class each week. 3. 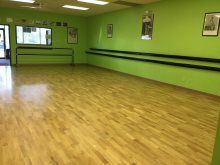 Facilities - We have three dance rooms all with raised floating sub floors, covered with a stage step floor, that cushion the dancer and helps reduce fatigue & injuries. 4. Viewing windows - You can watch a portion of your child’s class each week and enjoy their progress. 5. Levels of dance - Dance lessons offered for all ages: 2 ½ to adults, beginner level to advance. 6. Recital - The recital is well organized and is an entertaining event for all to enjoy. 7. Costumes - Our costumes are affordable and age appropriate. 8. Personal attention - Classes have an instructor and assistant instructor to better meet your child’s needs. 9. 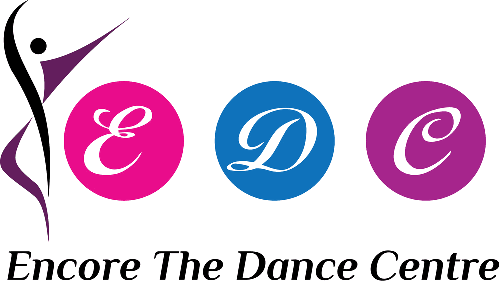 Organization - Encore is a well organized dance studio with a friendly desk staff to assist your needs. 10. Community involvement - We perform at local festivals & fairs as well as nursing homes. 11. Tuition - We offer family and multiple class discounts. One of the many benefits of our facility is the type of dance floor used. Encore The Dance Centre has a floating dance floor with hundreds of compression foam blocks under the surface that absorb the impact of the dancing and help reduce injures and fatigue. 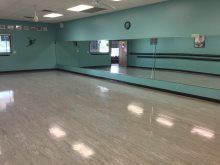 Each dance room has viewing windows in which parents are able to observe their child‘s dance progress. Please stop by and visit our studio. See for yourself...our facility is top notch!